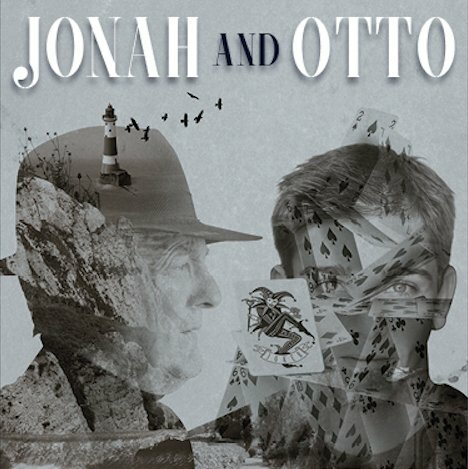 JONAH AND OTTO by Robert Holman, Off Broadway beginning February 1, 2017 | The Drama Book Shop, Inc.
Lost Tribe Theatre is bursting on to the stage with its first production: the US premiere of Jonah and Otto by Robert Holman, running Off-Broadway in February as a co-production with Firefly Theater & Films. Robert Holman is one of the UK’s finest, most talented and most highly regarded dramatists of the last 50 years. Born in 1952 and brought up on a farm in North Yorkshire, Robert Holman was awarded an Arts Council Writers Bursary in 1974, and since then has spent periods as resident dramatist with the National Theatre and the Royal Shakespeare Company in Stratford-Upon-Avon. His plays include: The Natural Cause, German Skerries (for which he won the George Devine Award), Other Worlds, Today, Making Noise Quietly, Across Oka, Rafts and Dreams, Bad Weather, Holes in the Skin and A Thousand Stars Explode in the Sky, with David Eldridge and Simon Stephens (The Curious Incident of the Dog in the Night-Time). His plays have been seen as far apart as Los Angeles and Tokyo, at theatres such as the Royal Court, the Bush, the RSC, Lyric Hammersmith, Donmar Warehouse, and the Mark Taper Forum, LA. The historic and intimate 88 seat Lion Theatre at Theatre Row on 42nd Street in the heart of New York's theatre land will house this seminal play for a limited engagement from February 1st until February 25th 2017.